Gelsenkirchen - Five wins and a draw in the final half-dozen Bundesliga games of the year saw FC Schalke into the winter break solidly placed in fifth and well set for an assault on the top three in 2015. Six of the team's 14 goals from Matchday 12 onwards were scored by a player few would have had marked down as a star of the opening season-half before the action got underway - . 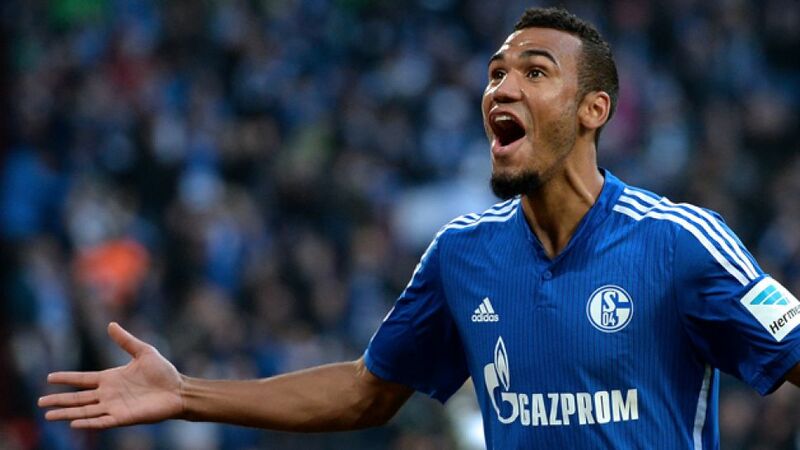 While the likes of and got the red-carpet treatment when they first rolled up in Gelsenkirchen, Choupo-Moting's arrival from 1. FSV Mainz 05 over the summer came more by way of the tradesmen's entrance. However, with nine goals and four assists to his name already, the Hamburg-born Cameroon international has been nothing short of a revelation in royal blue so far. “Choupo-Moting's a player of extraordinary quality,” sporting director Horst Heldt observed after the forward had nabbed a hattrick to Schalke's 4-0 win at VfB Stuttgart in early December. Head coach Roberto Di Matteo was no less effusive about “a team player who puts in an enormous effort,” and whose direct contribution to 13 goals puts him in the elite company of Thomas Müller, Kevin De Bruyne and Arjen Robben, one behind Eintracht Frankfurt's table-topping Alex Meier (13 goals and one assist). It adds up to a career-best mid-season tally for the 25-year-old all-round attacker, who appears to have been one of the main beneficiaries of Di Matteo's decision to switch to a system utilising two out-and-out frontmen after replacing Jens Keller in the coaching hot seat in October. In tandem with Huntelaar, Choupo-Moting is one half of the deadliest top-flight strike force so far this season. Combining exceptional pace and technique with aerial prowess and the ability to finish off either foot, he is evidently revelling in a more central role after years spent mostly out on the flank. “Klaas and myself complement each other really well. It'd be great if we could keep it going together,” he said modestly of the newly-forged partnership. On this form, the former Germany U-21 international would certainly have piqued Joachim Löw's interest as well, had he not nailed his senior colours to the Cameroon mast back in 2010. He turned out for the Indomitable Lions at the World Cup finals in South Africa that year, and again in Brazil last summer. It's all a far cry from when, having previously been farmed out to 1. FC Nürnberg, he departed hometown club Hamburger SV permanently in the summer of 2011 for Mainz. His coach there, Thomas Tuchel, predicted soon after that Choupo-Moting could “become one of the league's top attacking players”. Now, he is living up to that promise.